Cell cycle progression is primarily controlled by cyclin-dependent kinases (CDKs). The activity of CDKs is controlled by two families of CDK inhibitors, the p21 and INK4 families, which link diverse cellular processes to cell cycle control. 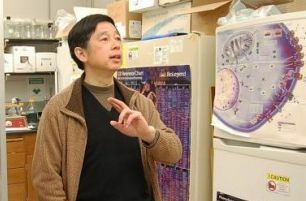 Our current research in this area is focused on three closely related issues: (1) Determining the function of INK4 genes in stem and progenitor cell cycle control and tumor suppression, (2) Determining the transcriptional regulation of INK4 genes, and (3) Determining how oncogenic signals and non-coding RNA epigenetically regulate the p15-ARF-p16 tumor suppressor gene clusters, which leads to the activation of both p53 and RB tumor suppression pathways. (Cell 71:505; Nature 366:701; Genes & Dev. 8:2939; Genes & Dev. 12:2899; Genes & Dev. 21:49; Cancer Cell 15:389). Most, if not all, cellular processes, including control of the cell cycle and p53, are regulated by ubiquitin-mediated modification and degradation. The mechanisms targeting specific proteins for ubiquitylation, in most cases, are poorly understood. We discovered two RING finger proteins, ROC1 and ROC2, which constitute active ubiquitin ligases with members of the cullin family. We also discovered that Cullins 3 and 4 can assemble in vivo into as many as 200 and 100 distinct E3 ubiquitin ligases, respectively. Our current research in this area is focused on determining the substrates and mechanism of different cullin E3 ligases linked to human diseases. Specific projects include: (1) Elucidating the mechanisms controlling p53 and the genomic stability by the cytoplasmic CUL7 and CUL9 E3 ligases? (2) Elucidating the mechanism of CUL4 E3 ligases in epigenetic control and X-linked mental retardation. (3) Identifying critical substrates of CUL4 in G-protein couple receptor (GPCR) signaling and heart protection. (Cell 92:725; Mol. Cell 3:579; Science 292:1910; Mol. Cell 3:535; Mol. Cell 10:1511; Nat. Cell Biol. 5:1001; Nat. Cell Biol. 6:1003; Genes & Dev. 20:2949; Genes & Dev. 22:866; Mol Cell. 43:381). Altered metabolism (Warburg effect) is the first tumor phenotype identified and has been widely used in the clinic for tumor detection. Recent discovery of frequent mutations of metabolic enzymes in cancer has renewed interest in cancer metabolism. Our recent studies revealed a novel and broad regulation of metabolic enzymes by acetylation. We also discovered that the oncometabolite 2-hydroxyglutarate (2-HG), which is produced by the mutated isocitrate dehydrogenase (IDH) and accumulates to a high level in IDH-mutated tumors, acts as an antagonist of a-ketoglutarate (a-KG) to negatively regulate multiple a-KG-dependent dioxygenases, including both histone demethylases and TET family of DNA hydroxylases. Our current research in this area is focused on two major issues: (1) Establishing mouse models to determine the oncogenic effect of 2-HG, and (2) Determining the mechanism of metabolites in the epigenetic regulation and cancer development. (Science 324:261; Science 327:1000; Cancer Cell 19:17).